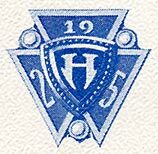 The HHSAA has had various forms in the past, but was reorganized in the fall of 1990 and continues to this day. 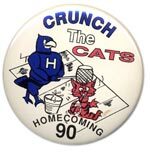 Since that time, the organization has played an important role in preserving HHS history, facilitating reunion planning, honoring outstanding graduates and contributing tens of thousands of dollars toward underfunded initiatives at HHS. Several thousand active supporters of the HHSAA span nearly 80 graduating classes and can be found in all 50 states and several foreign countries. Our database contains contact information for nearly 17,000 graduates. All contributions and charitable gifts to our not-for-profit organization are fully tax-deductible. Assets are held in a donor-advised fund at the Hutchinson Community Foundation. Our basic membership is $20 per year, our Super-Salthawk level is only $50 per year, and our Lifetime membership is a one-time gift of $500. 89% of all HHSAA funds raised go to either college scholarships for students or special project grants to HHS teachers. The HHSAA is governed by a Board of Directors that meets regularly to carry out the business of the organization, including the review of grant applications from HHS faculty. A list of current Board members follows below. You may contact us via email or by writing to our postal address. Please note that due to the volume of correspondence we receive, we may be unable to reply to inquiries unrelated to the business and activities of our organization. 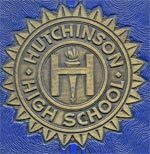 For general HHS inquiries, please call the high school at 620-615-4100.